Come join our special FREE EFT tele-workshop for ACoAs (Adult Children of Alcoholics) 10:00pm EDT every Wednesday night. (US) EDT = UTC-4 EVERY Wednesday night! We use the ACoA "Laundry List" and the "ACA Yellow Book" as points of departure. This will be an awesome and dynamic EFT tele-workshop. 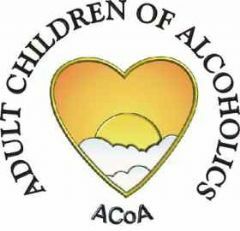 I'm one of the original ACoAs who got ACoA started in the Late 1970s in New York City. Some of my friends have had some issues getting on the call. Here's the FYI. Enter The Tele-Workshop Conference Number PIN: 6344394# when prompted. Sometimes there's a "rush" at 10:00pm EDT and you might get bounced from the call or it won't go through. Try again in a minute or two. Some people call in a few minutes early and listen to the elevator music until the workshop starts and beat the rush.